Happy Canada Day, folks! 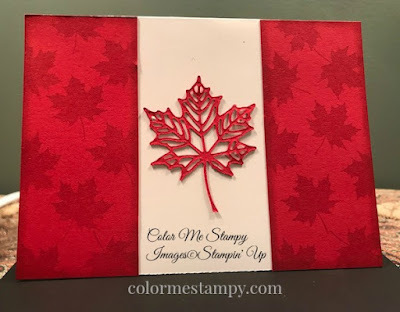 I wanted to take a minute to make a card in celebration of Canada's 150th birthday! This card was made using the Colorful Seasons bundle. I wanted to show just how versatile this set really is. And that you can make a cute card with minimal supplies. All of the supplies are listed below. Thanks for stopping by!